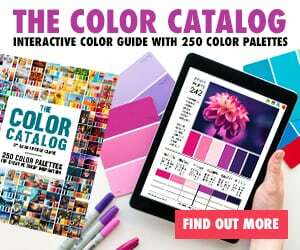 UPDATE: FREE 2019 calendar (all 12 months) now available! 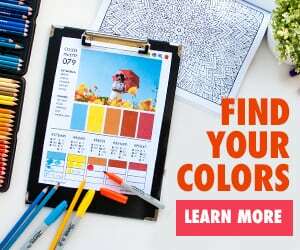 It’s almost time to start planning for the new year, so I’ve created a 2018 coloring calendar that you can print out month-by-month to color in and organize your schedule. You can download the month of January for FREE below – enjoy! 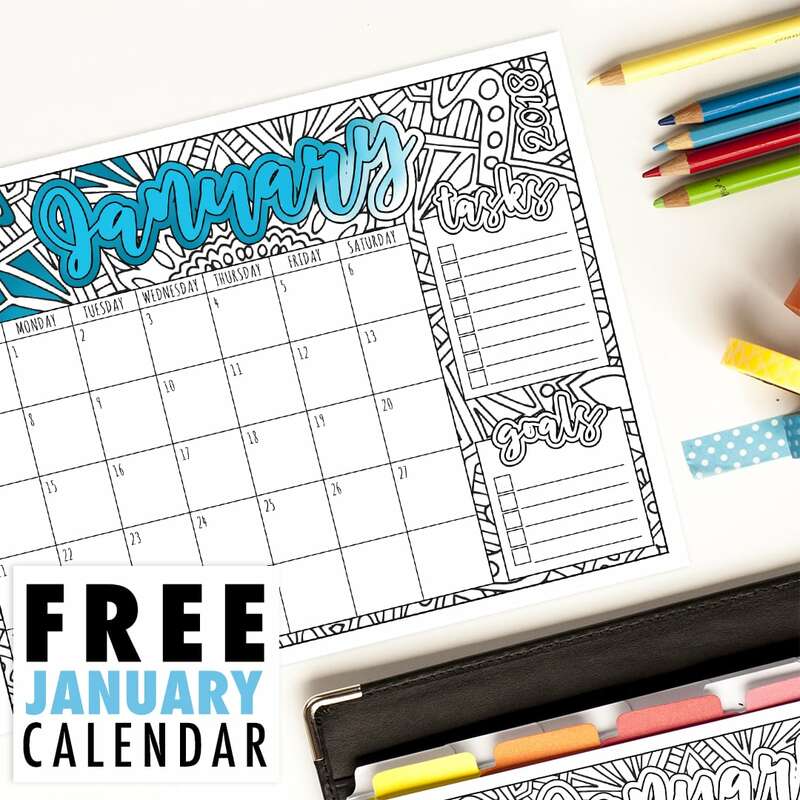 This free January calendar includes 2 variations so you can choose whether you prefer your week to start on Sunday or Monday. 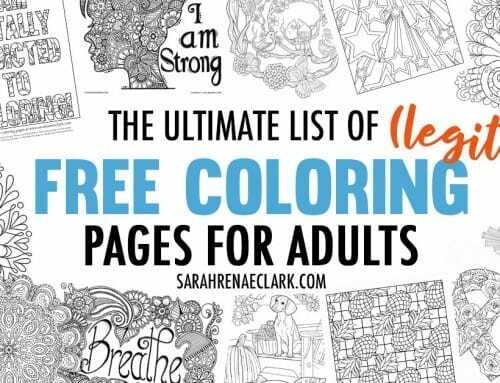 It’s completely black and white so you can get creative and color it in yourself! 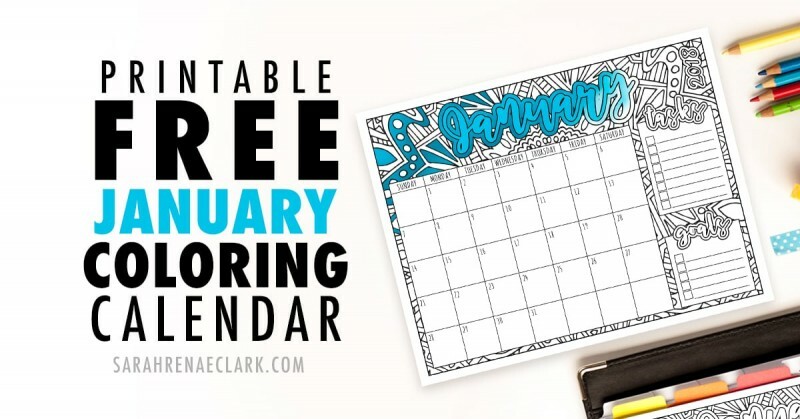 If you enjoy this free January calendar, you can get the whole 12 months for just $4.95. The full printable 2018 calendar also includes 2 variations so you can choose whether you prefer your week to start on Sunday or Monday. 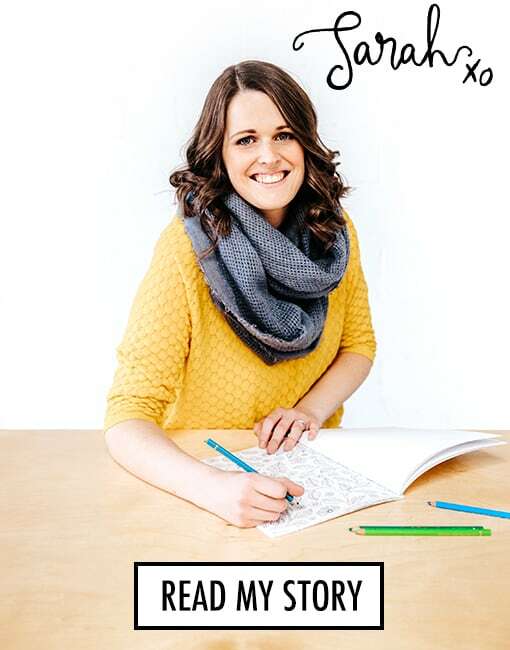 Each month is a full page, with a different background pattern on each. 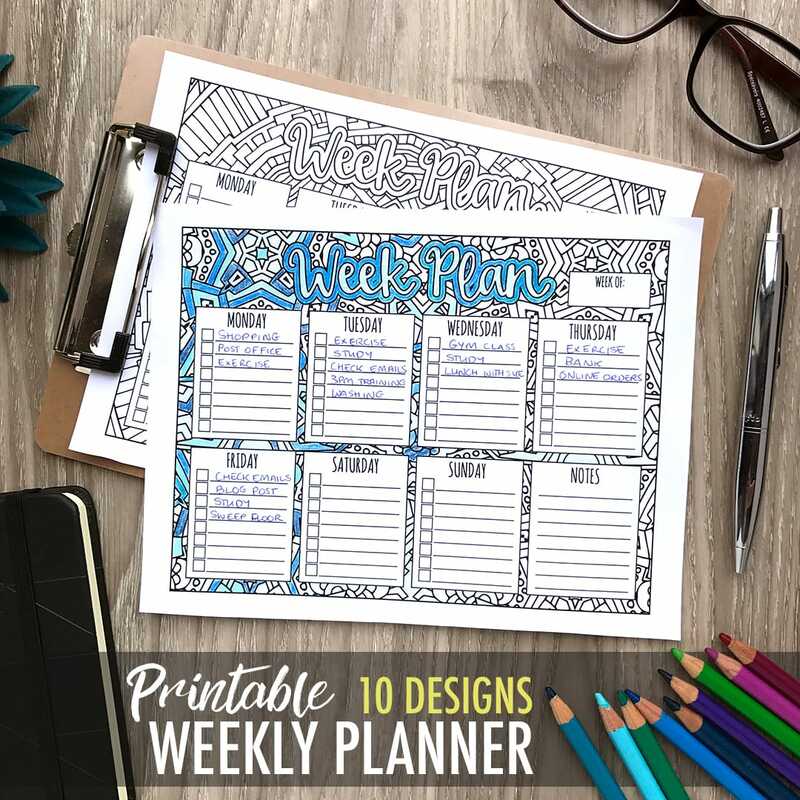 You can use these week planner templates to track your to-do task, events, schedule, chores, goals, habits or anything else that will help you to get organized. 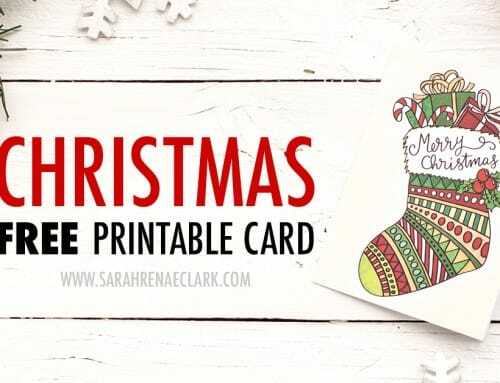 There are no dates or years, so you can use these as many times as you like. 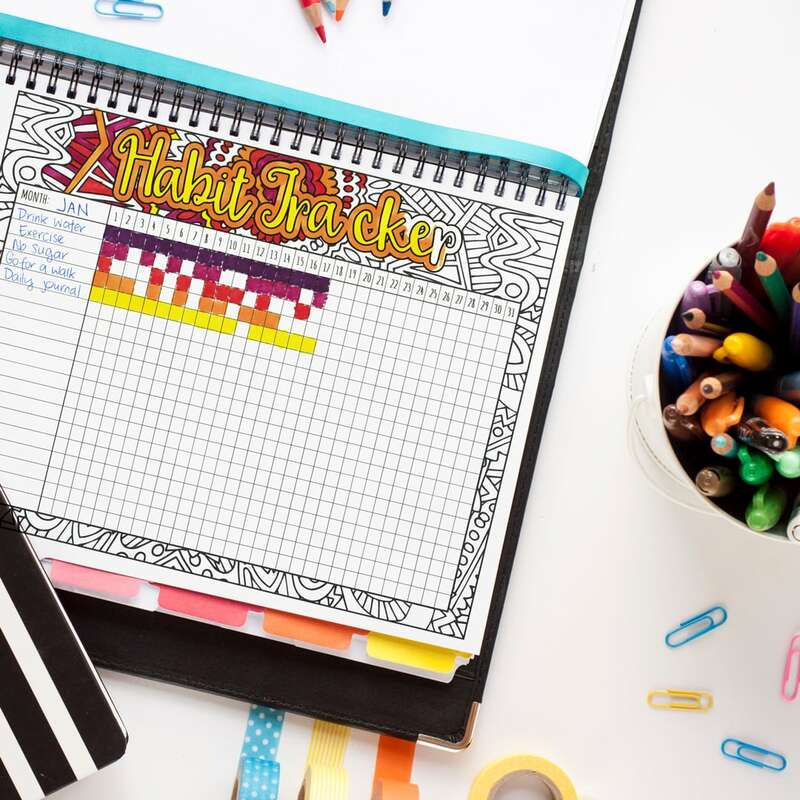 Use this printable monthly habit tracker to keep track of important daily goals or habits in a quick, simple and effective way. 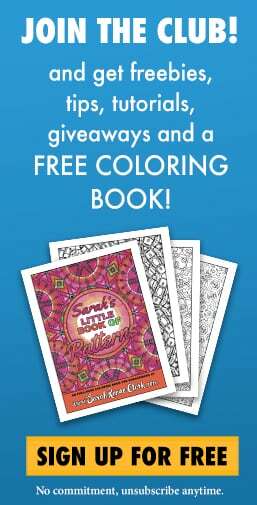 Simply color or mark a box for each day that you reach your goal – or for each day that you set a good habit! 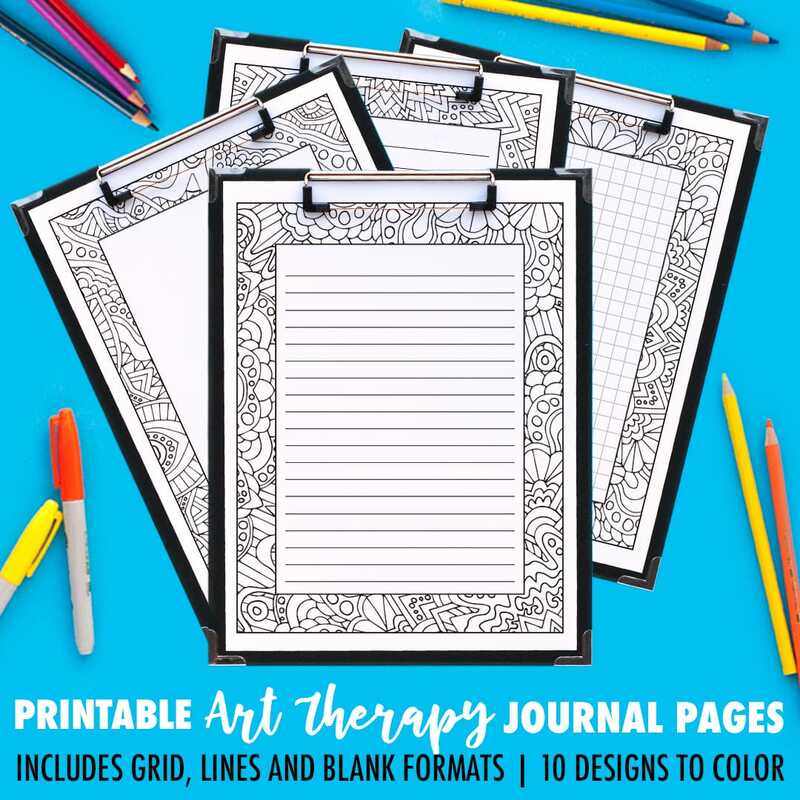 This printable journal pages pack includes 10 different Art Therapy designs, with 4 formats available for each design: grid, small lines, big lines or blank. Find the perfect fit for your preferred journaling style, whether you like to write, draw or use a bullet journal. This is one of several journal page packs available in my printables shop. 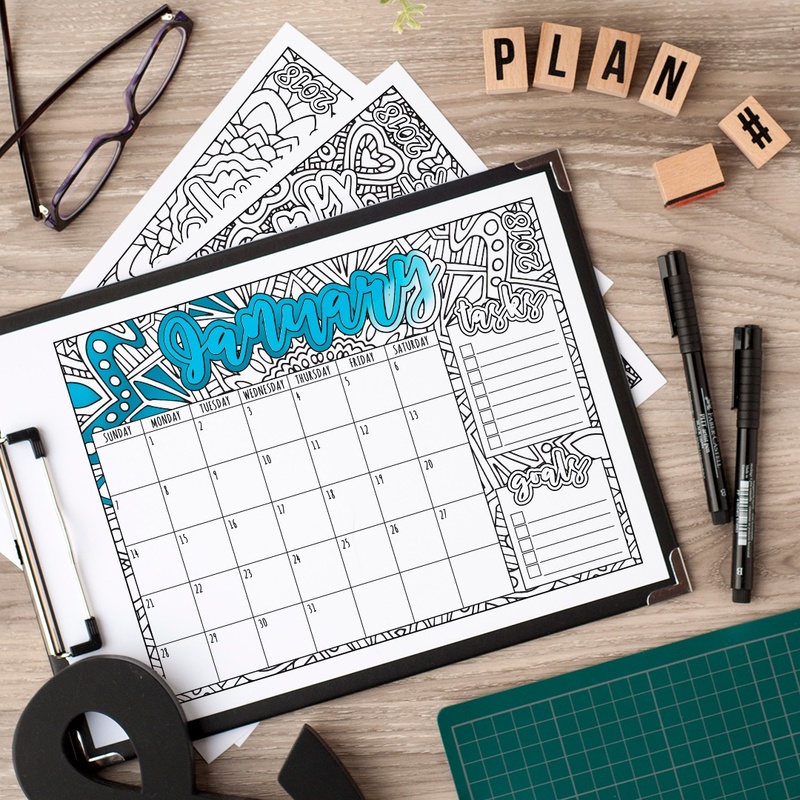 This one-page yearly planner is a simple and creative way to see a monthly overview of your year. 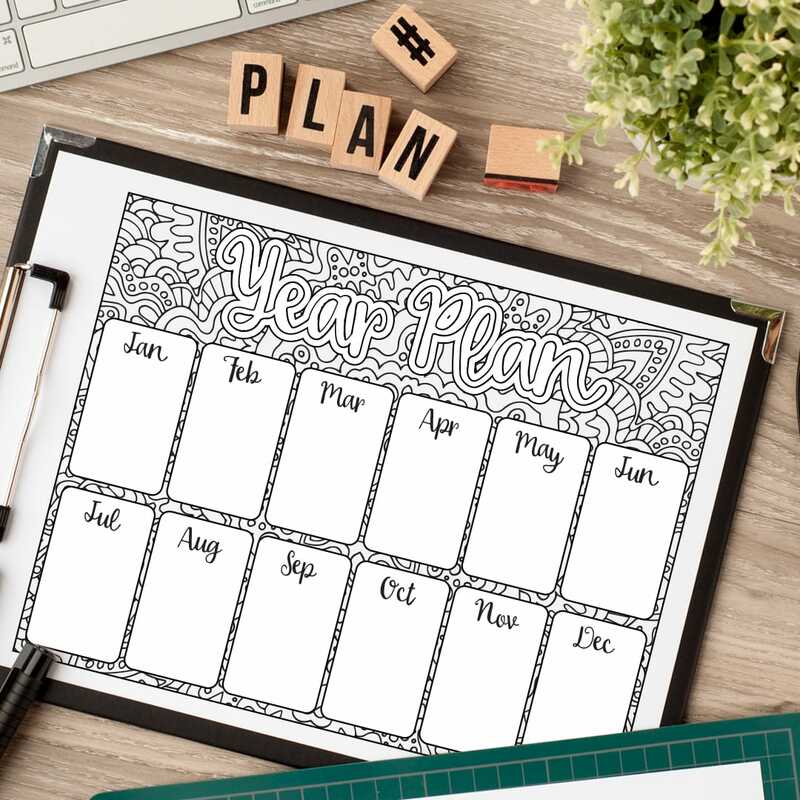 Track the birthdays of your family and friends, track important holidays or seasons for family planning, track social media content for your business, or just get a glimpse of the year ahead! Everything is lovely! Wondering where to get a print of one of the pictures ?? Thank you so much for giving the option to start our weeks on Sunday or Monday! I really appreciate that. So many are switching to the weeks starting on Monday and it is harder to find calendars that don’t. I and many of my friends prefer the weeks starting on Sundays. Thank you! 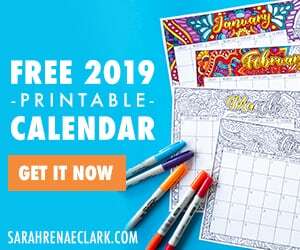 I love this calendar and I hope you will have one for 2019!! Thanks!